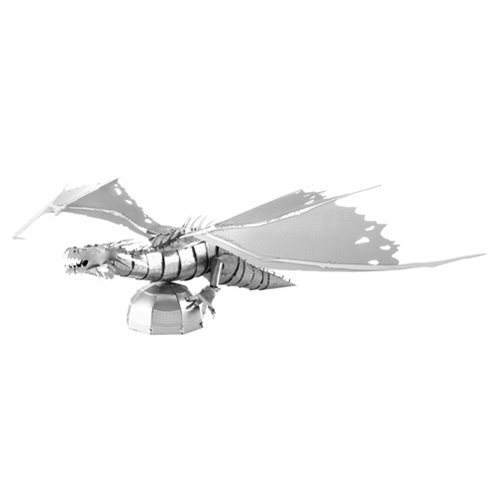 Assemble your own dragon from the Harry Potter film series with ease, with this Harry Potter Gringott's Dragon Metal Earth Model Kits from Fascinations! These amazingly detailed DIY models start as 2-sheets and finish as amazing 3-D models. Use the easy-to-follow instructions included with the sheet to pop out the pieces, bend the tabs, and connect them at the attachment points! Ages 14 and up.